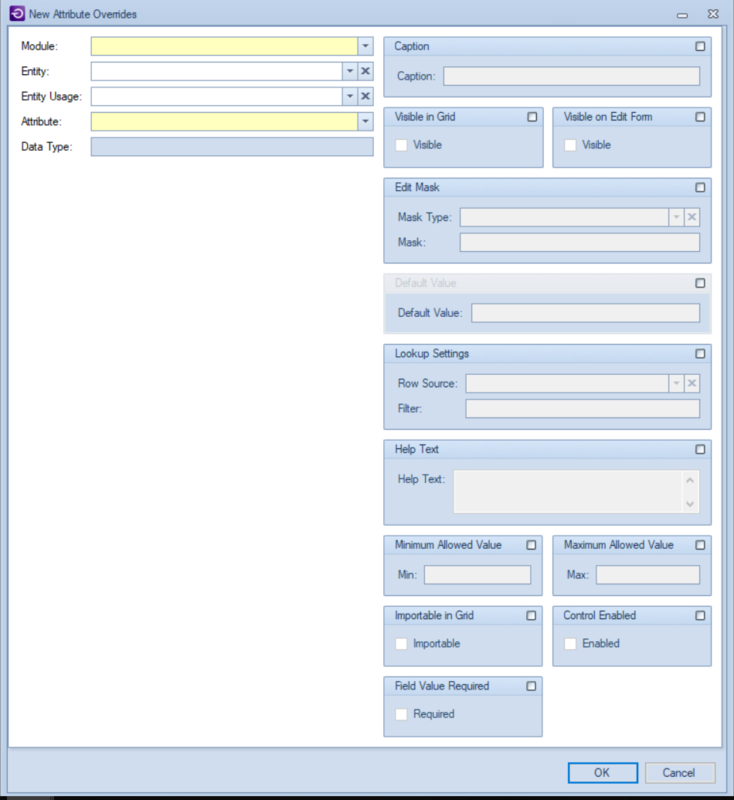 In this module, a user can edit the field and modules label text, create new fields, insert masks, and filters for data. Modifying or using any given entity, requires users to know the location, ID and attribute of the relevant entity. In the Module Field select: Scheduling. In the data type field should appears: Float. In the Caption Field type the name that should show the field within of the operation details tab. Repeat from the step 1 to 8, if the user should create more Fields for the operation details tab. Restart the application with the same credentials. On the bottom select a Job type. Click on the operation activities tab. The right part of the window, search the name associated with the field created previously. Repeat from the step 16 to 17, if the user created more of one Field for the operation details tab. Fill all the fields in yellow selecting the same Job Type edited previously. Change the status from Pending to In Progress. Select a supervisor and add a new asset. Click on the take over button. Click on the Operation Detail Tab. The new field added appears on the screen with the names typed previously. 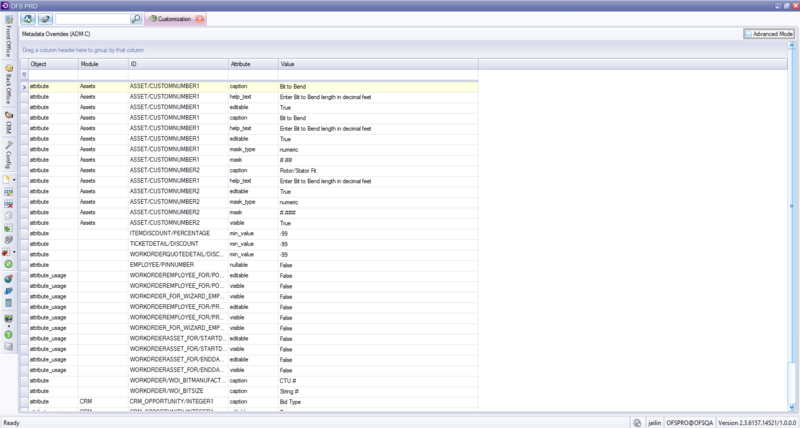 In the Caption Field type the name that should show the field within of the item master module. In the edit mask Field select as mask type: numeric and type: #####.## within Mask Field. 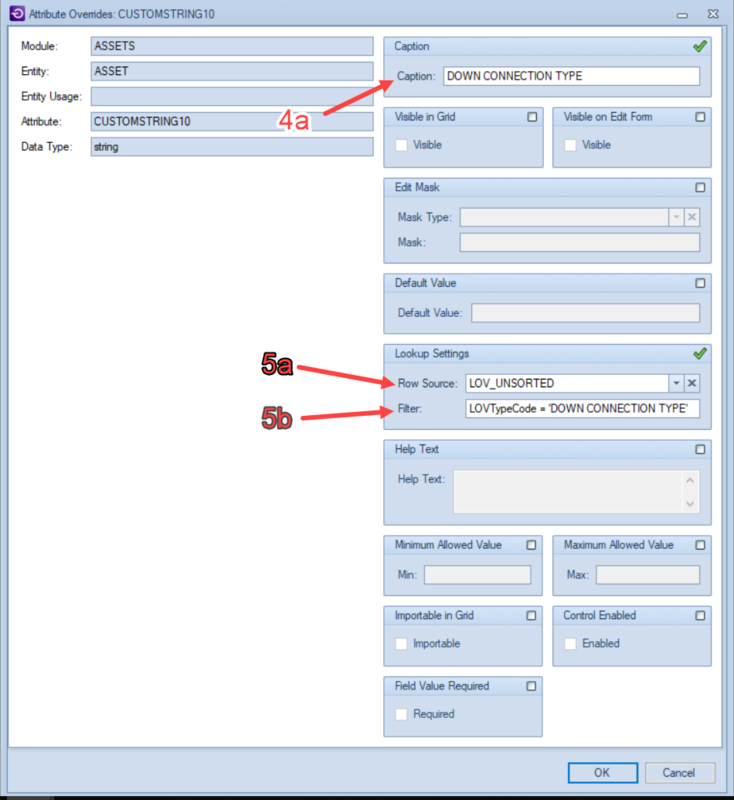 Repeat from the step 2 to 9, if the user should create more Fields for the item master module. Click on Back Office>Inventory>Item Master. Select any Item Master and clicking for edit. The new fields added appears on the screen with the names typed previously. In the data type field should appears: String. As shown below, first select the Config module on the left hand side of the screen. This triggers a menu with two options, Setup and Administration. Select Setup to trigger another menu with several additional setup options. From those options, find and click Lookups. On the Lookups grid, right click to display the Context menu, and then click on Select New. The New Lookup Type window will appear. when setting the customization at the customization grid. b. Start ID – this ID should be a unique number to identify the Lookup you just created and the values related to this new record. c. Description – in this field include a brief description for the Lookup Type that was just created. Going back to the Lookup Values grid, select the Lookup Type that you just created. Once the Lookup Value at the top is selected right click on Lookup Values at the bottom, and on the content menu select the Add New Lookup Value option from the context grid. Create all the Lookup values you require. These Lookup values will be displayed in the dropdown customization field to be created. After all the Lookup values are created, select OK.
Click on Config Module – Administration – Customization. c. In the Attribute Field (c), select CUSTOMSTRING10, This custom field is used to include new customized fields of the type string. The available attribute types are string, float and int. i. String data types are used for character fields. ii. Float data types are used for high-precision fractional values. iii. Int data types are used for integer fields. a. In the Caption field (4a), type a name for the custom asset category field. Then find the Lookup Settings menu, located about 4 menus below the Caption menu on the right hand side of the window. a. In the Row Source field (5a), select LOV_UNSORTED from the drop-down list. Click on Back Office – Assets – Categories. Select the Category where this customization will be displayed. Right click and select Edit on the content menu. In the customizable fields select the asset name created previously, and put a checkmark in the box to make the columns visible. Go to Back Office – Asset – Asset Listing. Right click and select new from the context menu. Fill in all the mandatory fields in yellow select the Category used for the customization. The newly added fields are displayed on the screen with the customized field.